The Great Thirst, Californians and Water: A History. Berkeley: University of California Press, 2001. Revised edition, 822 pp. "...water issues are so closely intertwined with the core elements of California's (and the American West's) political, economic, legal and cultural evolution." This historical explanation of water, mineral, agricultural, and urban resource development based on a descriptive and comparative approaches analytically conveys the depths of recurrent controversies and the complexities behind the myths of modern market economies and capital formation. 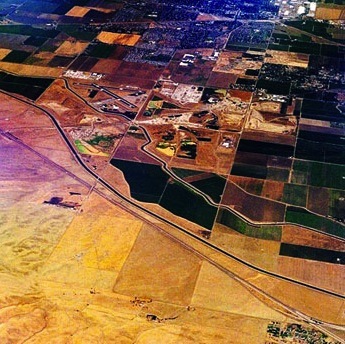 Instead of "rugged individualism," Hundley makes it obvious that hydraulic institutions that were created in the arid and land poor western states enabled societies to inhabit desert lands of little or no use to farming and urban life without irrigation and extensive aqueduct building. Based on primary and secondary sources with 196 pages of notes and bibliography. "dynamic interplay between human values and what human beings do to the waterscape." "I begin looking at California as a natural environment, before the Europeans arrived, and at how Native American viewed the environmental as something to be manipulated, yet always within the context of maintaining their symbiotic relationship with nature." Spanish - Mexican considerations for the communal use of water resources as promoting the national, that is to say colonial, interest of settlement. That attitude changed with the gold rush. "Imbued with a spirited individualism." "California's emergence as a collection of water seekers." "Providing abundant clear water to multitudes of people who expressly wanted that to be done." ° Another theme is how crucial government . . . . has been in shaping water policy and use." ° Still another theme is the close interrelationship between private and government interests." ° "The relationship between American political culture and California water policy -- constitutes another theme." 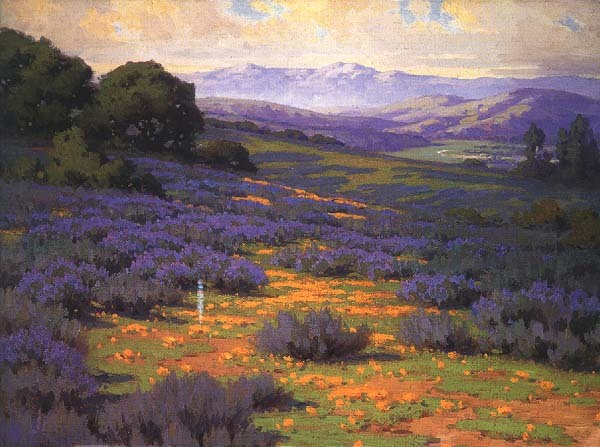 Public land survey states from which the Public Domain was created; half og California reamins in federal hands as part of the Public Domain. 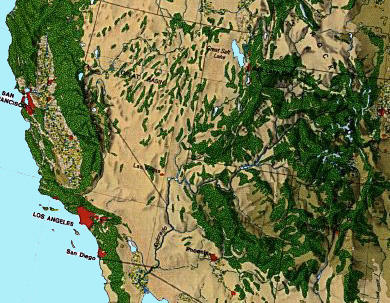 In this map of the southern far west, red indicates urban metropolitan areas, green indicates arable or forested land, & brown indicates semi-arid or desert conditions. Southwestern US & California showing the locations of the Southern Sierra Nevada Mountains, the Owen's Valley and the Colorado River. "The lack of informed and consistent leadership at the highest levels in Sacramento and Washington has not augured well for a state whose population continues to grow at a pace unmatched in the national experience." Sequoia gigantea, a Sequoia tree in the National Park of the same name. 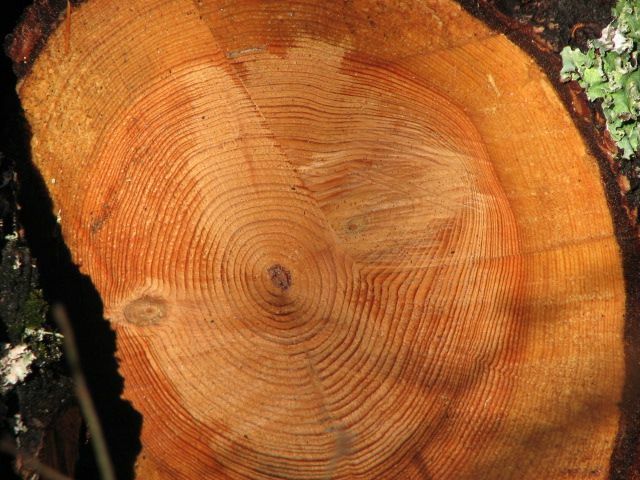 Tree ring analysis suggests a periodic recurrence of drought in of the past with respect to growth and senescence intervals. When did the changes occur? 892 - 1112: began and ended a 220 year period of extremely dry (drought) conditions. 1209 - 1350: began and ended another period of extremely dry (drought) conditions. 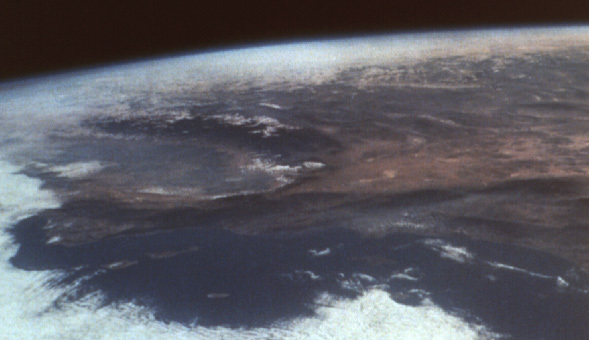 1500s - 16th century "a megadrought, the most widespread, severe and prolonged in the last two" millennia. 1760 - 1890: Third driest period of drought conditions. 1935 - 1944: wet (extreme rainfall) conditions. 1976 - 1980: dry period despite a 1976 El Nino winter. "Once it was a far different place. Aboriginal California, with 275,000 to 300,000 residents by current reckoning was among the most densely populated areas in North America." "Native Californians did not live, however, in complete harmony with nature, nor did they refrain from any significant manipulation of the environment." "the waterscape of aboriginal California differed markedly from that of today." "They supported an abundance of fish, game and waterfowl as well as beaver and otter. Cattails, tules, willows and sometimes alder dominated freshwater marshes inhabited by ducks swans, marsh wrens, rails, and geese that darkened the sky with their enormous numbers." "The labyrinthine waterways of the delta, whence the two rivers made their way to San Francisco Bay and the Pacific Ocean." 65% of the precipitation evaporates. 71 million acre feet to flow as runoff to the rivers and estuaries. "The source of all this water is the Pacific Ocean." Average rainfall is 15" annually; but one period was characterized by 19", 6", 11", 14", 40", & 11". ".. the Indians ....were successful enough to make California one of the most densely populated areas north of Mexico." "Water played the most significant role in village location. Unlike peoples who frequently established rivers as boundaries, California natives looked upon the entire watershed of streams, reaching back from both banks, as natural territories." Fisheries: steel head (sea going rainbow trout), king salmon, and four other species of ocean going freshwater fish, link many forests to the sea. The entire watershed [pictured here] is often the sustaining influence in settlement, be that migrating, grazing, farmland or homesteads, leading to urban, or extended metropolitan areas. "freshwater was crucial,...In the preparation of acorns, the principle vegetable food of most California natives." "Resource management also entailed manipulating the physical environment." In the "managed use of fire." Water borders sustain certain kinds of plants perfect for making baskets and these thrive today along the Owen's Valley canal. "Agriculture, and particularly irrigation agriculture, was being practiced long before the arrival of the Europeans." 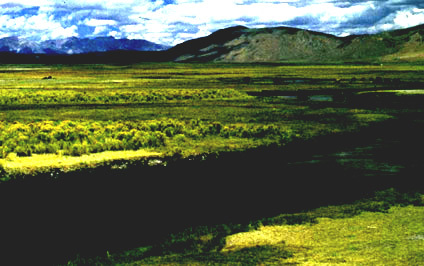 The Paiute sometime around 1000 AD "constructed and elaborate irrigation system." As the drought in the west grew in its influence migration prompted and increase in the density of the Owens Valley. Hints of this in a "decline of nomadism and a rise in permanent villages." The Sierrra Nevada Mts. 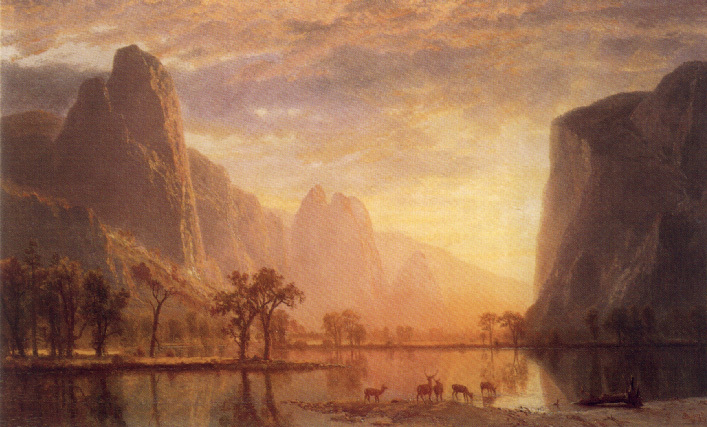 in Yosemite Valley, by Albert Bierstadt, 1864. "Still another feature in counterpoint with the future was the absence among the Indians of a private property right in the use of water that could be bartered or sold." Old Wintu woman relates the Wintu belief of water that "I am awfully smart"
"..,but I came from the ocean and I shall go back into the ocean. You can dig a ditch an put me in it, but I go only so far and I am out of sight. I am awfully smart. When I am out of sight I am on my way home." Spain's settlement of Alta California in 1769 introduced a lifestyle and a value system at sharp variance with those of native peoples of this most distant of the empire's northern possessions." "Apportion Water justly and fairly "
"most newcomers..., were themselves Indians" (from Mexico) who accompanied the Spanish conquistadors. "Apportion Water justly and fair." Water was of such fundamental importance that its lavish display became synonymous with wealth, power, and technological sophistication. Fountains emerged as commonplace symbols of achievement." "The fundamental water-use unit in Spain was the local irrigation community where customs and laws had evolved over generations, drawing heavily on earlier Roman, Germanic, and Arabic experience." "necessity sometimes blurred the distinction between public and private." 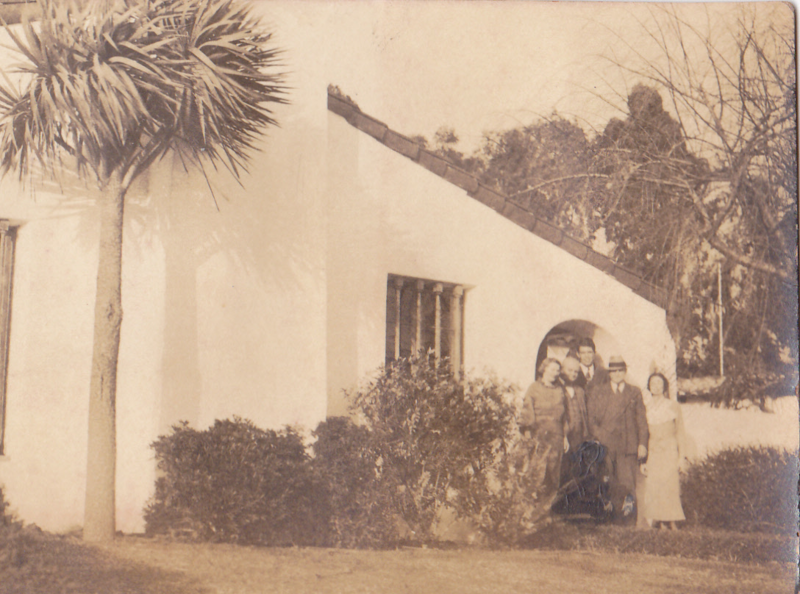 21 Franciscan missions were established over 54 years became the most widespread Hispanic institution in California. "too much water could be as serious a problem as too little." Branciforte failed after 1800s from lack of sufficient water to sustain agriculture, grazing only was possible. "Under Spanish law, water in a municipality did not belong to separate individuals, but rather passed from the monarch to the entire community as a corporate body." The American Takeover: Laissez Faire, Localism, and Monopoly. "The conquest of California by the United States in 1846 and the discovery of gold two years later ushered in a sequence of events that profoundly altered the vast new American acquisition." The Gold Rush (1848-49) changed just about everything including the relation of water to land and power. "The population boomed from some 10,000 non Indians in 1846, to 100,000 three years later, to nearly 1-5 million by 1900." "Localism and laissez faire were the Democrat's political shibboleths." Water diversion necessitated by gold bearing lodes and seasonal aridity of the region. Gold was discovered on federal land; that is land not yet surveyed and passed into settler's hands. Law of the mining camp's precedent lead to the "doctrine of prior appropriation." 1866 Congress endorsed the right of prior appropriation and with it State Rights to regulate water use. Congress set a precedent in mining that applied to agricultural and manufacturing use of water. "Thus the new law, as it emerged in nineteenth-century California, ratified the survival instincts of a profit-driven people in an arid land. It endorsed swift commandeering of water resources and rapid economic development, and it gave no advantages to communities over individuals, though towns and cities could condemn rights that individuals had acquired." " encouraged individual and corporate tendencies to monopolize as much of it (water) as possible." Water Law in the US is different in the arid west from the more humid east. Some firms profited so well in supplying water to the new enterprises that they avoided mining altogether and devoted their energies to acquiring water rights and selling the precious commodity." In 1855 the State Supreme Court upheld the right of companies to retail water not directly connected to mining. Ironically individualism led to corporate take over of streams and water sources. "Among the most profitable of the new entrepreneurial ventures was hydraulic mining, a California invention that... spread .. like the plague...."
destruction was extraordinary and the profits were three to one and the spread of the industry required technical engineering prowess and hydraulic principles that were later used in larger private and public water projects around the west. 3 times the water consumed by San Francisco at the time (1880s) was diverted into hydraulic mining. Rivers silted up and the bed of the Sacramento River and its tributaries rose increasing the flooding by destroying first natural and then constructed levees. Thousands of acres of farmlands, orchards and fields were destroyed. by 1884, the US Circuit Court of Appeals based on nuisance and damages ruled against the mining industry in favor of the farmers -- shutting down hydraulic mining-- for destroying the navigability of the Feather and Sacramento Rivers. "...Corporate desires to seize water and blast away at the landscape in a frenzied quest for riches." Sacramento Valley was a forty (40 by 150 ) one hundred and fifty mile long flood prone basin of largely swampland. In 1850 the states were deeded all swamp and overflowed lands on the condition that they be reclaimed by levees and drained for agriculture. State Board of Swampland Commissioners, created as an extra-Executive authority elected by the Legislature to create a statewide plan for the entire valley. 1868, the legislature rescinded the SBWC and replaced it with local control and weak centralization of the engineering specs. "a return to the earlier practice of atomized protective systems, with only the largest (and most expensive) levees of the wealthy affording some semblance of security." "Thus , laissez-faire, localism, and monopoly became standard practice in flood-control planning just as they had in the allocation of water for mining." "no one could acquire a property right to the corpus of the water itself,"
"Location alone determined the right, which simply resided in the ownership of land bordering the stream." English Common Law and riparian rights by Legislative adoption in 1850. Both approaches were used and codified in the Civil Code in 1872. Though riparian rights prohibited diversion for irrigation, courts allowed limited diversion to assist (1865) irrigation. Therein lay the seeds for future clash of interests and conflict over use of water. "For most ranchers, riparianism became the doctrine of choice since it assured them a continuous flow of water for their livestock and periodic flooding of bottomlands for the growing of alfalfa and hay. As irrigated specialty crops spread, demand for water and sources for water grew straining the doctrine of riparian rights. 60,000 acres irrigated in 1870, to 300,000 acres in 1880,, 1 million acres in 1890. 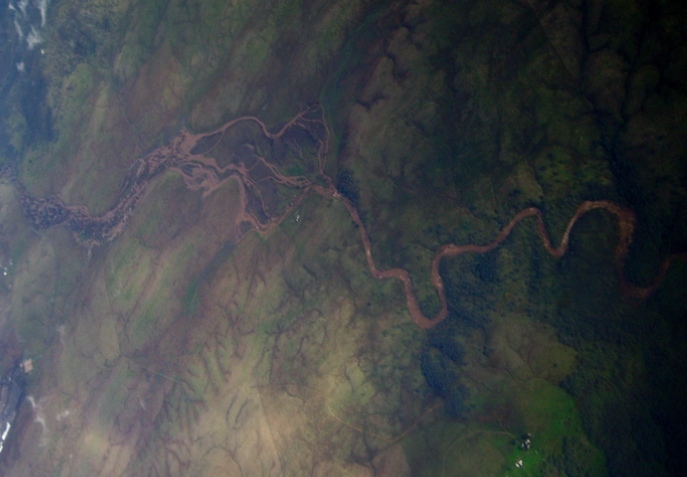 Ranchers opposed upstream diversions basing their insistence on riparian rights. Throughout the 1870s and 1880s a "groundswell of popular opposition to riparianism"
1879 - 1886 two large land owners squared off in court over the clash of water right systems. This "State Supreme Court ruling saddled California with a new system of water law but failed to alter the pattern of land and water rights concentrated in relatively few hands." James Ben Ali Haggin and the purchase of Kern County land to the amount of 400,000 acres for irrigation. At the alluvial deposits of the Kern River these two giants in accumulating lands confronted one another. 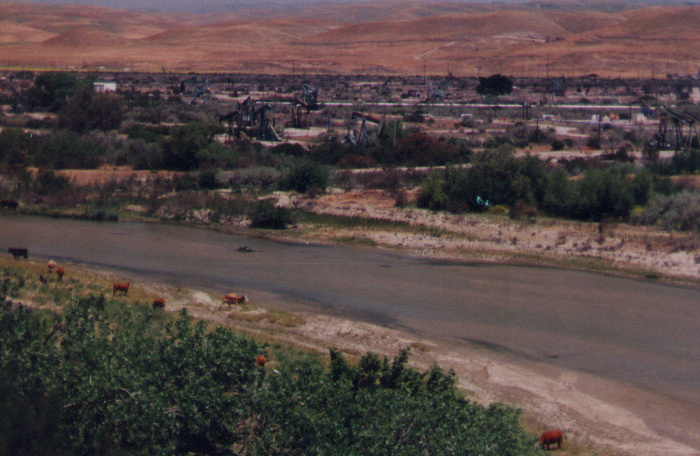 Haggin was the upstream owner diverting water for irrigation away from the downstream ranchos of Miller and Lux. Drought of 1877 placed Miller and Lux at a serious disadvantage when the Kern River ran dry. May 1879, having been denied a fourth of the water of the Kern River water Miller took Haggin to court. Lower courts ruled for prior appropriation, while Miller appealed to the State Supreme Court. SSC ruled in favor of riparianism in a qualified sense: hybridism of the California Doctrine. Prior appropriation can supersede riparian rights when and only if the prior appropriator is actually using the water before the downstream riparian owner had acquired the property and as the riparian owner began to use the water. "Put simply, both systems were legitimate and timing determined which prevailed in a conflict." Hampered by law the irrigationists were equally confronted with a hostile or at least unpredictable climate, rainfall came at the wrong season and delivered far more water than was needed when it did come. "The real enemy was monopoly, whether by riparians or appropriationists." In response to the decision in the Miller & Haggin case in an attempt to secure water and land for small holders the Legislature passed the Wright Act in 1887.
the Wright Act gave irrigation districts the legal authority to condemn property to obtain sufficient water. "In some ways the irrigation district was reminiscent of Hispanic institutions." New pumps made deep groundwater available in 1890s. 1857, Crandall vs. Woods, incorporated the idea of "adverse prescription"
"The gains were more illusory than real. The Wright Act proved a limited success at best." "Moreover, most of the agricultural land (62 percent of it) remained in large ownerships exceeding a thousand acres." By the 1890s in California, however, the irrigation district concept, which had been introduced with such enthusiasm only a few years earlier, was largely a failure – until it was revived and reformed in the early twentieth century." "an innovation known as the mutual water company"
1857, the Anaheim Water Company was formed with land holdings amounting to 1200 acres. George Chaffey was the preeminent promoter of mutual water companies and the holding of water rights in condominium among the land owners of the corporate area. He promoted Etiwanda, Ontario and Whittier. Where he used hydroelectricity for lighting streets. Successes brought international attention and Chaffey went to Australia. Severe drought struck at the end of the century. "many gave way to an irrational return to ancient superstitions." December 1915, he promised San Diego rain in exchange for $100,000 just before the onset of a torrential season. Calls for a regional reclamation effort to create small scale Jeffersonianism in the agrarian west. 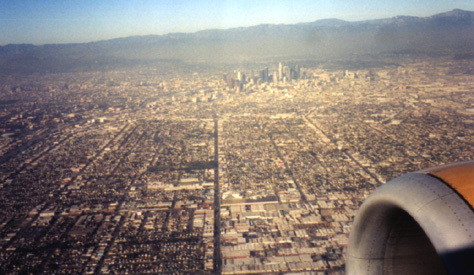 "Cities dominate modern California just as they do much of the nation and the world. In California, community living in villages, towns, and eventually vast metropolitan areas has almost always been the norm." "By the 1890s, San Francisco and Los Angeles were in vanguard of western cities that were searching for additional water sources. "From about 1,600 residents at the time of statehood (1850), Los Angeles jumped to 100,000 by century's end, and then during the second decade of the nineteenth century bypassed San Francisco to become the state's most populous city." "boosterism"... "viewed growth as an end in itself and water as the chief means of sustaining it." Los Angeles bested San Francisco "in both imagination and aggressiveness in pioneering the new imperialism..."
Los Angeles as a town chartered by the state Legislature after State hood inherited all of the rights to water granted it by Mexico and Spain when LA was established as a pueblo. Thus it "continued to directly control the community's water system" The Town council established a zanjero to " issue permits and collect water taxes and maintained a labor force of Indians to maintain aqueducts, wells and canals.
" water remained the acknowledged means of sustaining the new prosperity (based on commerce) as it had the old (agriculture)." Completion of the railroad from Chicago tied Los Angeles to the southcentral United States via Santa Fe and Texas which also allowed fresh fruit in refrigerated cars to reach more people and extend the produce into larger urban markets. Smallpox epidemic of 1863 raised the need for sanitation on the civic agenda. Water companies were believed the best means of securing an urban water supply to the city, at first. Rancho Los Feliz, north and below the mountains, was the city's initial target whose owner was then Leon Baldwin who irrigated his orchards from the middle -- upper reach of the Los Angeles River. The pueblo was from its creation, he insisted, sole legal grantee of all the water in the Los Angeles River and under the Treaty of Guadeloupe Hidalgo had to be respected by subsequent American law. [the] river." A most audacious claim at best. In 1874, the Legislature gave the city exclusive right to all the water in the river. Baldwin argued that by riparian right and adverse prescription (had been using the river without objection by Los Angeles) the water was there for his use. In 1885 the city paid $50,000 for the Los Feliz Rancho to John Baldwin for the water diversion rights. In 1881 in another case Feliz vs. Los Angeles the State Supreme Court ruled that Los Angeles had the right to remove diversion works of other owners on the Los Felix Rancho. Without resort to Spanish and Mexican law the SCC decided the case to favor the Los Angeles control of the river's water, but with an enormous restriction on how the city can use excess water so long as it does not damage downstream users. 1895, Vernon Irrigation Co. v. Los Angeles, Vernon's lawyers ignored the pueblo water right as dismissed by the Baldwin case, and thus failed to effectively challenge the city's claim. SSC addressed the Pueblo rights question, the "pueblo water right could be asserted only to the amount needed to supply the wants of the inhabitants." "The judges in Vernon were less interested in Spanish legal reality than in what the Los Angeles city council, the state legislature, and now they affirmed should exist: a pueblo water right allowing Los Angeles to become a great city." 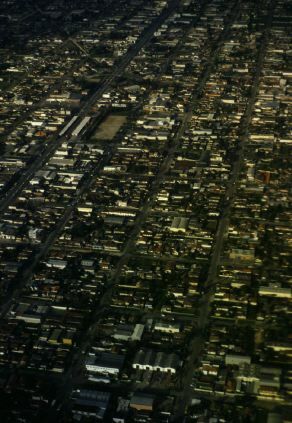 In 1899 the Court extended the Pueblo right was extended to areas annexed to Los Angeles after incorporation as a pueblo of four square leagues (twenty-seven square miles). Annexation thus became a means of securing more water. Los Angeles City Water given control over the supply in 1868 until 1898. 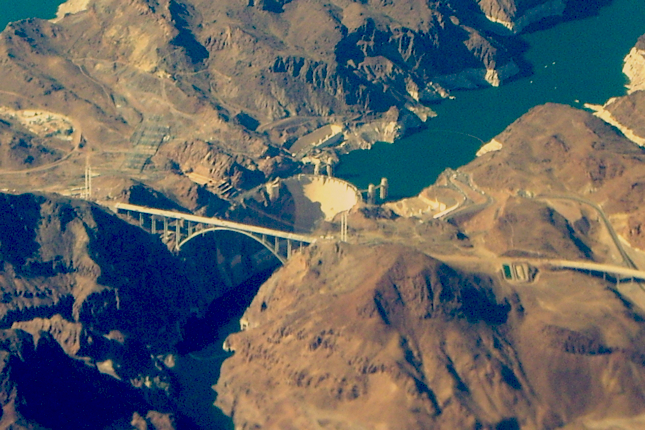 The Bureau of Reclamation was established in 1902 by Congress to bring needed irrigation water to arid lands in the west; with a mission on public lands to facilitate the needed dams, reservoirs and aqueducts to fulfill that mission of irrigating desert lands. Mono Lake in the upper background from Mammoth Mountain in the Eastern Sierra Nevada range looking from west to east towards the White Mountains. 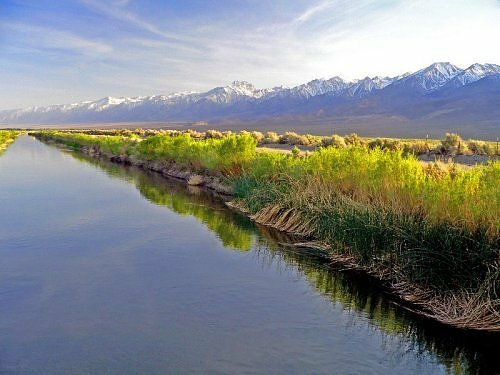 anticipated sufficient water in the Owens Valley for 2 million people in Los Angeles. The Owens River, in Mono County. 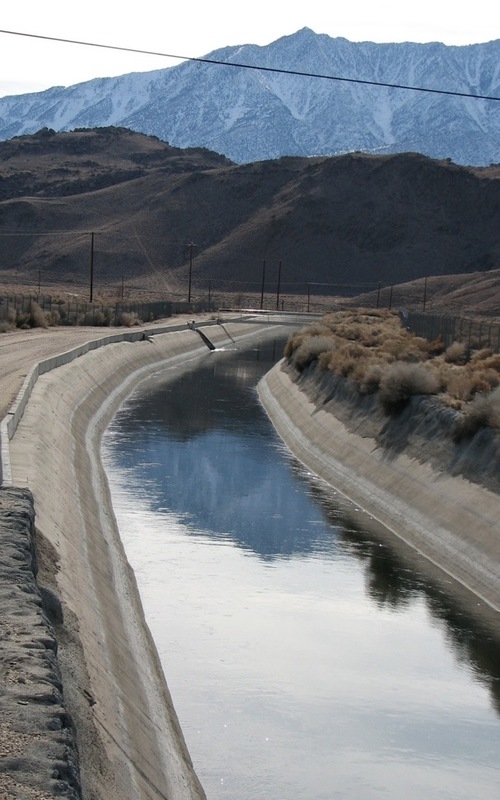 Bureau of Reclamation had a model irrigated agricultural project for the Owens Valley and had withdrawn or set aside all public lands to keep water for the rural development project. Fred Eaton, meanwhile was buying up private land in the Owens valley to secure riparian rights. Joseph B. Lippincott, Bureau of Reclamation Engineer secretly sides with Eaton (personal friends) and his main client was City of Los Angeles despite his work for the Bureau of Reclamation. The City, Eaton, and Lippincott worked secretly to inform each other and acquire lands. Eaton all along had hoped to own the only reservoir site in the Valley and then lease it to the City for twice its value. The city was in no position to turn him down since the Bureau of Reclamation required that the OV project be a wholly municipal project. Oct. 29, 1905, the Municipal Board felt the project secured. The Los Angeles Times (with monetary interest in the project) ran the headline "TITANIC PROJECT TO GIVE CITY A RIVER." The Owens' Valley aqueduct is owned by the City of Los Angeles, Department of Water and Power. Bond issues passed in 1905 and 1907 to pay for the land purchases and the building of the aqueducts. Theodore Roosevelt championed the Owens Valley \ Los Angeles Aqueduct. Construction began in 1908 and on "November 5, 1913, the first Owens river water poured into the San Fernando Valley. "There it is, Take it" William Mulholland of the water on the dedication day. 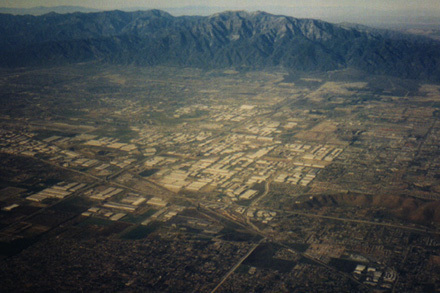 San Fernando Valley in Southern California. The suburban sprawl seen here was based on the newly acquired water. Mary Austin and her husband Stafford were among Inyo County leaders who tried to change Washington's mind on the Owens Valley Bureau of Reclamation service project. 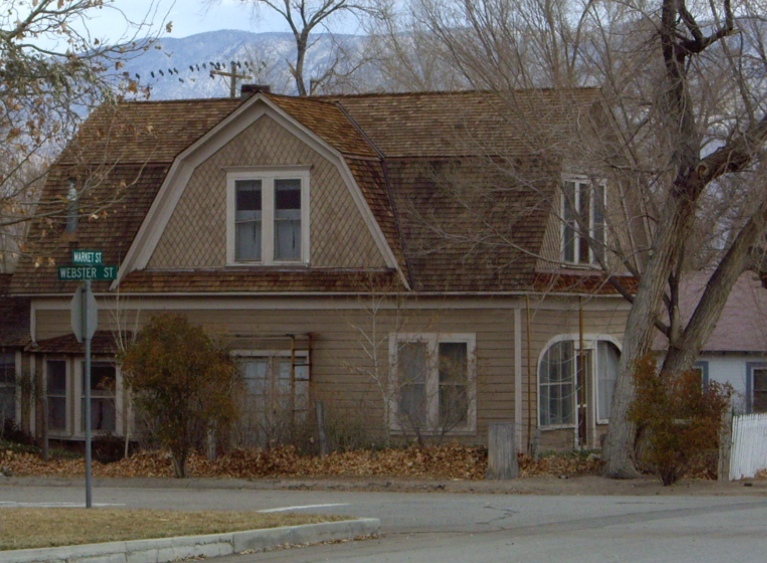 Mary Austin's home in Lone Pine, California. "Believing themselves abandoned by the President, betrayed by the Reclamation Service, misled by Los Angeles, Owens Valley residents remained deeply embittered." 1927, the dynamiting of the aqueduct by disgruntled Valley vigilantes. Surrounded by salt water, 20 inches of rain annually. By 1874 San Francisco had moved from private to a municipal water system with State legislative approval. "The spectacular success of Los Angeles and San Francisco excited admiration and much envy among federal and state engineers whose own water schemes by the 1920s had produced meager results if not outright failure." "The term Boulder Canyon Project masks a multidimensional undertaking that had a deep impact on the state, the West, the entire country, and northwestern Mexico. Its origin can be traced to the turn of the century and to the merging of two forceful ideas. 1. 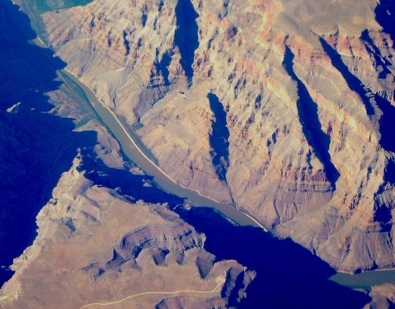 The first belonged to Arthur Powell Davis, nephew of John Wesley Powell, the prominent nineteenth century geologist who had unsuccessfully urged the federal government to reform land and water laws and who had gained wide public fame as the one armed explorer who in 1869 had led the first expedition down the Colorado River and through the Grand Canyon. Arthur Davis had grown to manhood inspired by his uncles exploits and the West's rugged beauty.... His attention immediately focused on the Colorado River, the site of his uncle's greatest feats and now, he believed, the means for achievements of his own." 2. Was response to disaster: "struck in 1905. During the previous year the private company delivering the water, without consulting Chaffey who had by then severed his connection with the firm, opened a new intake on the Colorado River.... A surge of high water tore out the flimsy diversion works and soon the entire Colorado River was pouring through a break a mile wide and sweeping back northwestward into the valley, destroying buildings, drowning crops, and transforming the nearby Salton Sink into the Salton Sea." Colorado River in the Grand Canyon gorge. "Evidence of something different in the Bureau's values was reflected in its relationship with the Imperial Valley following the passage of the Boulder Canyon legislation." "That water, provided at subsidized rates (no interest was levied on the federal funds expended for constructing the delivery system), stabilized the valley's irrigable area at about 440,000 acres and brought a measure of security and prosperity unknown before. It also helped fasten a landed elite onto the area." "Another strong incentive for developing new farmland in the 1960s came from the federal tax code. It allowed investors to deduct as business expenses their development costs this prompting them to rush new fields into production as soon as the water became available. In Kern County, they concentrated at first on such specialty crops as almonds and citrus which grew especially well along the valley's west side. Then when the Internal Revenue Service, under heavy criticism for providing tax subsidies to the wealthy, ended the tax break for citrus and almond orchards in 1969 and 1970, investors poured their money into grapes, olives, and pistachios. The result was glutted markets and nose-diving prices that devastated many of the state's small growers." "The advocates of California's great hydraulic projects cared little about agricultural working conditions and less about studies pointing out the nature, extent, and inequities of subsidized water for farmers." 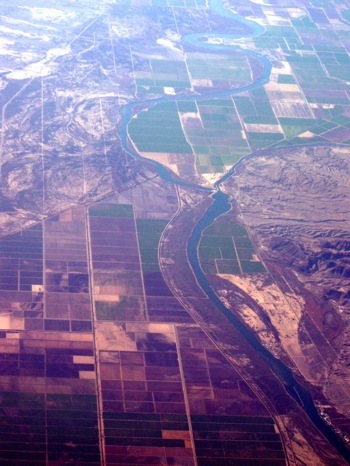 Irrigated farmland along the California and Arizona borders on the Colorado River. In 1963, California became the nation's most populous state with over 18 million people. "The years immediately following the inauguration of the State Water Project brought unprecedented challenges to California's numerous hydraulic planners." " Those who traditionally looked upon cheap and abundant water as a birthright reacted with alarm but not resignation as they grappled with environmental militants and devised strategies to slow, if not undermine altogether, threats to the old order." 1963, Supreme Court decision to share the Colorado River water. "The setbacks to California's water seekers during the last three decades did not break their spirit or prevent some telling victories on behalf of the old cause. Similarly, the resistance of state as well as national voters to massive new projects because of soaring costs and intense opposition by environmentalists has not ushered in an era of reform as many had hoped and some even predicted." " the struggle to preserve an awesomely beautiful and rugged stretch of the Stanislaus River, a stream that rises in the High Sierra north of Yosemite before eventually joining the San Joaquin River west of Modesto." On War down, Another to go. "polluted water, salinity, the Imperial Valley has been especially hard hits." "Wetlands, a resource vital to flood control, water quality and species survival by providing wildlife habitat and breeding grounds." Radioactive Contamination of the river water from a site 750 feet from the Colorado River in Moab Utah. NRC was to cover the 110 foot pile, as had been done in Denver to little or no effect! "Over pumping has eliminated all but a handful of springs on the coastal plain and invited devastating salt water intrusion (first observed in the 1920s.). By the 1980s in Southern California, one of three homes was using bottled water as the principle source of drinking water as compared with one in seventeen in the US as a whole." "Just as problems of pollution have persisted, indeed, intensified, in recent years, so, too, has the resilience of agribusiness." 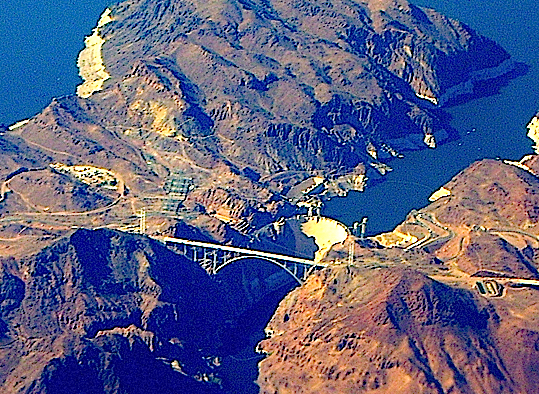 "highly subsidized water" users persuaded the Reagan Administration to change the reclamation law. Water "allotment would be reduced to meet actual supplies." Monterey Agreement of 1994. Once orchard and farmland, the Santa Monica Mountains now overlook suburban sprawl. 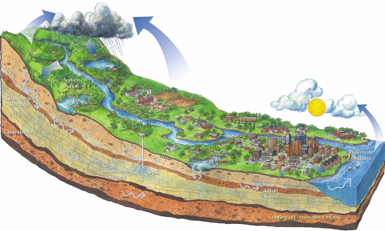 "water management systems that are egregiously localized" and in that sense "it exhibits the centrifugal, fractional tendencies of the American federal system carried to some kind of logical extreme." "The question now in water matters, is whether government is so hobbled and confused that, as a total complex of institutions, it cannot provide reasonable supervision and guidance at all." "Statewide, there is no coordinating authority or management program, there is no one in charge." "The need for cooperative water management extends well beyond California to the entire West and, so far as California is concerned, especially to the states of the Colorado River Basin. Part of the problem is structural. There is no real means by which to solve watershed - wide problems in a way that all stakeholders are represented and equitable solutions can be proposed. California evokes a romantic and near utopian vision for numerous observers. critical of Donald Worster, Peter Berg and Raymond Dasmann, as not realistic, wishful thinking. "This vision has a certain appeal, but seems out of touch with modern urban society and a world (increasingly by some 250,000 people daily or 90 million annually) where production only for local; needs -- even if limited to California and the West -- appears a practical impossibility if not undesirable." "The fate of all bodies of water is intertwined with human values about the quality of life and the number of people any part of the world can properly support. Closer to home, the message to Californians is the folly of continuing to encourage the influx of people, whether new residents, developers, or farmers, into areas where the environment is already overburdened and despoiled. The message is also about the tragedy of California's rapidly disappearing open spaces and world-renowned farmland through unchecked urbanization and an accelerating market in agricultural water." 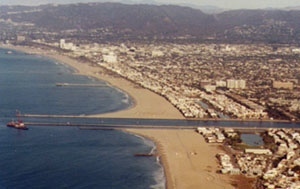 "Modern California, with its booming economy (eighth among the nations of the world if measured separately) and its number one ranking nationally in population, agriculture, and industry, dominates the American West and much of the nation like a colossus and exercises great influence not only in Washington, . . . but also in foreign capitals." The water establishment in Calif. has consisted of many competing and often warring groups and is thus not monolithic. "Water exists to serve humankind." "That Californians--and all Americans, for that matter–have abused the land and waterscape and failed to develop a coherent water policy hardly seems surprising for a people with a centuries old tradition of exploitation and with (perhaps illogical) desire to accommodate simultaneously growth, environmental restoration, and at least some wilderness preservation." Californians - "are not so much facing a water problem as a land-use problem." "So, too, does the irony of the environmentalists joining with cities in a powerful coalition for water marketing that, without appropriate constraints, could accelerate the urbanization of open spaces and farmland and, withal, the despoliation of a once Golden State." "Leaders at all levels of government have thus far been unwilling or unable to invest the resources needed to make current cities more livable, appealing, healthful, and safe – in a word, more attractive" to people so they do not feel compelled to flee an undesirable urban environment only to replicate it endlessly across the map and into the future." agricultural interests holding rights to 77% percent of the state's developed water supply- a supply made possible by taxpayer-funded subsidies."